Halting deforestation and allowing forests to regrow would account for at least 30% of all mitigation action needed to limit global warming to 1.5°C. As a major importer of products linked to deforestation, the EU has the leverage to make a difference, writes former UN climate chief Christiana Figueres. Christiana Figueres was Executive Secretary of the UN Framework Convention on Climate Change (UNFCCC) until 2016 and is Distinguished Fellow at Conservation International, an environmental NGO. As signatory of the Paris Agreement under the United Nations Framework Convention on Climate Change, the 2014 New York Declaration on Forests, as well as the United Nations Sustainable Development Goals, the EU has already provided leadership on the commitment to halt deforestation by 2020. The EU now has a critically important opportunity to take make those political pledges a reality. 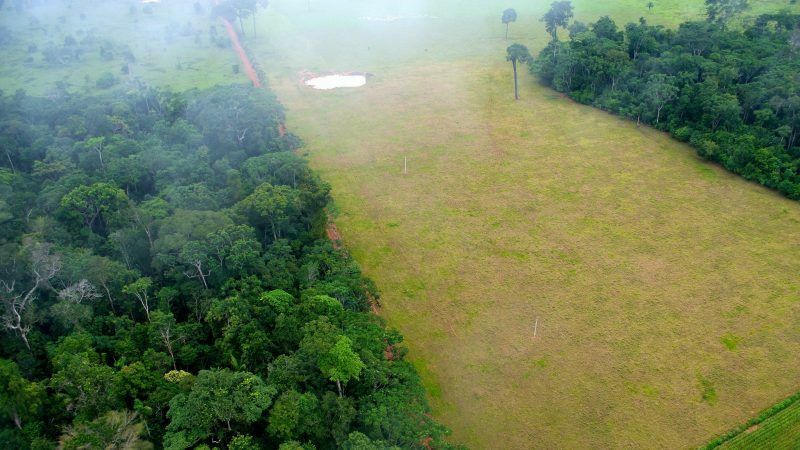 The European Commission will release a feasibility study on policy options to step up EU action against imported deforestation in the coming weeks. The Commission will decide on which option to pursue, and an Action Plan is the best possible route. The EU was the leading importer of products linked to deforestation between 1990-2008, causing an area of deforestation at least the size of Portugal, and is still the highest global importer of deforestation embedded in agricultural commodities. The EU is the second largest market for imports of palm oil after India, the world’s largest importer of soybean meal and second-largest importer of soybeans. Such a footprint implies that the EU has the leverage to substantially prevent deforestation, contributing among other benefits to the aspirations of the Paris Agreement. Indeed, science tells us that halting deforestation and forest degradation, and allowing forests to regrow, would provide at least 30% of all mitigation action needed to limit global warming to 1.5°C. Science also tells us that by 2050 at the latest, we need to have a global economy that is not emitting any more than can be naturally absorbed by the planet, which means that land-based solutions are a very important part of that formula. However nearly half of the world’s forests have already been lost, and despite commitments to halt forest loss, deforestation continues to increase. Because expansion of certain agricultural commodities – such as palm oil, soy, cattle, pulp, and paper – drive the majority of tropical deforestation around the world, the role of the EU is crucial in unlocking forest’s vast potential as a climate solution. In addition to forests’ importance for addressing climate change, they are critical to life on earth: 300 million people worldwide live in forests and 1.6 billion depend on them for their livelihoods. Moreover, forests provide habitat for 80% of the world’s terrestrial biodiversity. Adopting an action plan now is crucial, because it would demonstrate the EU’s commitment, and guide the next Commission members. It would provide a clear path forward for Member States and companies to act on their commitments. The Commission is not alone. Member States sent clear signals on their willingness to tackle the issue of deforestation through the approval of the 7th Environmental Action Programme, which commits the EU to considering an Action Plan on Deforestation and Forest Degradation, and the Amsterdam Declaration signed by seven member states, which calls for eliminating deforestation from agricultural commodity supply chains by 2020. Major corporate actors have also already pledged to eliminate deforestation from their supply chains, such as the Consumer Goods Forum’s zero net deforestation by 2020 initiative. An EU action plan would provide the private sector with incentives that would reinforce corporate commitments and level the playing field. Public sector guidance and private sector action must go hand in hand to bring about significant change. The EU cannot miss the opportunity to transform its commitment into action through the adoption of an Action Plan on Deforestation and Forest Degradation. Such an Action Plan should promote enhanced financial and technical assistance to producer countries to protect, maintain and restore forests and other critical ecosystems, including by increasing transparency of trade with technologies like Trase and by improving governance. It should look into establishing a regulatory framework to ensure that all supply chains linked to the EU market are sustainable, free from deforestation and forest degradation, and comply with international standards on rights of indigenous peoples and local communities. 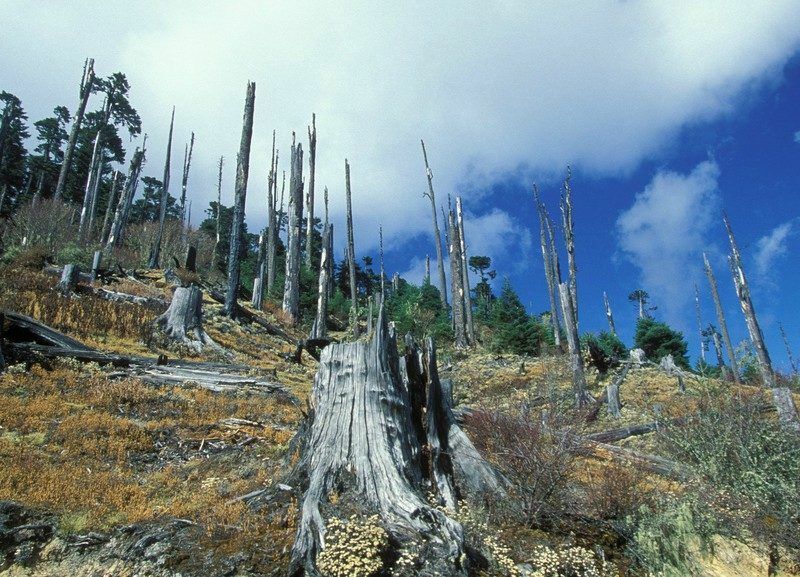 Finally, tackling the drivers of deforestation and forest degradation, by putting in place new policy mechanisms to deliver sustainable, resource-efficient production and consumption, should also be a key element of the action plan. The matter is in the Commission’s hand – it can now seize this opportunity to consolidate the EU position as a leader on biodiversity conservation, sustainable development and climate action. The Eu IS CONTRIBUTING IN QUITE THE OPPOSITE-what contribution ??? ?when the EU is responsible for the largest import of palm oil when it’s currently estimated around 300 football fields of rainforest are leveled every hour to make way for palm oil plantations. Without the rainforest, orangutans are forced onto palm oil plantations where they are viewed as “pests” and either shot point blank or captured and sold into the ILLEGAL WILD LIFE TRADE WHICH IS AT ITS PEAK WITHIN THE EU!!!!! The EU will be responsible & remembered for the extinction of many species one being the ORANGUTAN due to palm oil imports!!!!!!!! if everyone became vegetarian by 2050:The results indicate that – largely thanks to the elimination of red meat – food-related emissions would drop by about 60%. If the world went vegan instead, emissions declines would be around 70%. the world’s approximately five billion hectares (12 billion acres) of agricultural land, 68% is used for livestock. we all go vegetarian, ideally we would dedicate at least 80% of that pastureland to the restoration of grasslands and forests, which would capture carbon and further alleviate climate change. Converting former pastures to native habitats would likely also be a boon to biodiversity /one-third of the land currently used for crops is dedicated to producing food for livestock – not for humans. 5,000 plant and animal species worldwide are threatened by habitat loss due to agriculture, the vast majority of which is used for meat production. 1,847 gallons of water to produce one pound of beef, 718 gallons to produce one pound of pork and 518 gallons to produce one pound of chicken, whereas it only takes 34 gallons of water to produce a pound of broccoli, 26 gallons for a pound of tomatoes and 302 gallons for a pound of tofu. Dead zones..have a look at the latest maps!Every six seconds, an acre of rain forest is cut down for cattle farming-90 percent of the Amazon rain forest that’s been cleared since 1970 is used for meat production.